First released in 2005, Patrick Dyer's popular title has been revised, extended and reformatted for this new edition. 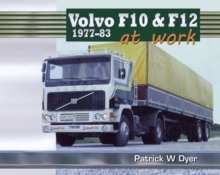 Between 1965 and 1977 the Swedish manufacturer Volvo produced a staggering 40,000 F88 trucks. Along with Scania, Volvo came to dominate the European truck market. Before this revolution trucks were often noisy, uncomfortable and liable to break down. Volvo transformed engines, gearboxes, frames, brakes, drives and shafts, bringing all these components under their own control. This unique position gave them an enviable edge over rivals for quality control and supply. Development work, too, could proceed without interruption. Wherever trucking work was needed on substantial loads or for long-haul work the F88 was bound to be a serious contender. 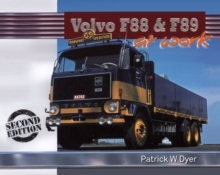 Patrick Dyer presents the predecessors to the F88, a photographic record of the truck at work in all manner of situations and then deals with the successor F89. His second edition includes all the original photographs as well as 53 new ones - including some rarities - mainly from the Volvo archives. He has added 7,000 words to the text. 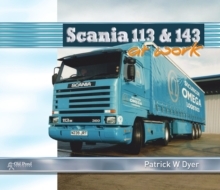 Patrick Dyer works in motor sport and also holds a Class 1 HGV licence. 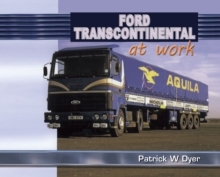 In companion books for Old Pond he has covered other iconic machines from Scania, DAF and Ford.